This place is crazy. 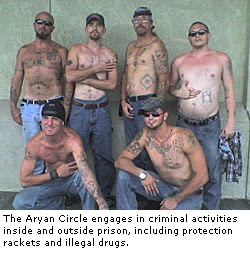 The white gang members are doing a lot to the lesser whites, taking their stuff and making them bring in drugs. It’s getting real rough. They went after a guy and beat him down twice, the second time, right in front of Medical. He laid there for God knows how long. The prisoners just stepped over him, unconscious in a pool of blood. The guards didn’t see the guy lying on the sidewalk for almost an hour or more. Finally, they noticed him. They even tried putting him back in his cell, knowing his life was at risk. That’s the kind of place this is. Most of the guards have no honor.